Troubled productions, reshoots, replaced directors, these are never good things to hear about regarding Hollywood movies. Sometimes, the film doesn't turn out too bad, such as the 1999 Mel Gibson film Payback, which saw director Brian Helgeland quit due to difficulties with Gibson. Gibson took over and changed much of the film. The final result, however, was quite a good film. Last year, when Justice League hit cinemas, we saw the opposite, as the film suffered from terribly rushed reshoots by replacement director Joss Whedon and dramatic changes to the plot that destroyed director Zack Snyder's film. 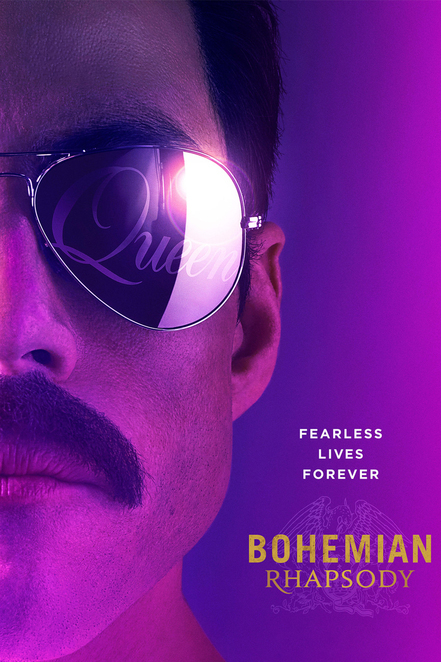 Bohemian Rhapsody is the latest trouble Hollywood production to hit cinemas, after troubled director Bryan Singer was fired by fox and the film was finished by Dexter Fletcher. Throughout production, Singer was reportedly absent for long periods of time and clashed with the star of the film, Rami Malek. Being such an ambitious project, it's amazing that Bohemian Rhapsody isn't a disaster. It's got lots to enjoy about it and fans of Queen will certainly enjoy much of the movie. However, it's not without its problems. Bohemian Rhapsody is focused on the story of Freddie Mercury and his flamboyant lifestyle. The band Queen is also focused on at times, but we get very little about the other members lives, other than their interactions with Freddie. Mercury was the star of Queen, even if the other members are fascinating characters in real life. What works for Bohemian Rhapsody the most is the cast,, in particular Malek in the role of Mercury. Malek has perfected much of Mercury's mannerisms and embodies Mercury as a real character and not just an imitation of an iconic musician, something many biopics suffer from. His performances as Freddie are top notch and though it's not Malek's own voice doing the singing, don't let that detract from his performance. The rest of the band are also exceptionally acted, even if they are a little short changed in the character depth. Gwilym Lee is uncanny as guitarist Brian May and gives an excellent account of himself in miming the guitar parts. Much like the other musical film out at the moment (A Star is Born), these actors look and feel like real musicians. The film also recreates many great Queen moments, most notably, the entire Live Aid performance from 1985. These moments are incredibly well done and again, the result is impressive considering the issues on set throughout production. The problem with the film lies with the messy and extremely clunky narrative. The film struggles to adequately tell its story in a way that's easy to follow. The editing is a mess and extremely choppy. For some reason, many scenes aren't allowed to breath at all and the constant cutting back and forth makes it difficult to watch in some scenes. The first act of the movie in particular is problematic with its story telling, as the film tries to quickly set up how Queen came to be, but the major jumps in time and the lack of depth to the scenes we got, means that you're not really connected with the characters until much later in the film. Even the live performance scenes are over edited. In the space of only 30 sections, the edits will show: close op of Freddie, cut to crowd, cut to Brian May, cut to wide shot of Freddie, cut back to crowd, back to May, to the drums, back to Freddie in wide shot, Freddie in mid shot, to the bass, back to Freddie in close up, back to May, and so on and so on. Bryan Singer wasn't present during editing, so it would be interesting to see what he would have done in post-production. The film is naturally full of hit songs from Queen, as the band had more success than almost any band in history. But with such a large collection of hit songs needing to be referenced, it does bog the film down at times and drag the plot out a bit. Some of the songs, whilst great songs, feel unnecessary and the 134 minute run time was lengthy, especially with all the choppy editing. In parts, the film is actually a little boring and whilst it spends a lot of time with Mercury through the fantastic performance of Malek, we don't really get a great feeling of how Mercury's life really transpired. The film feels very much like it was finished by a director who wasn't the one who had the vision to make this film, and perhaps Singer should have been brought back to assist with editing. Singer himself though has said he is very proud of the final product, so maybe not. The film does come together strongly in the final act, as Live Aid brings many aspects of the story together. Fans of Queen will enjoy the film, because let's face it, the film was always going to have great music. It's certainly worth a look. Be prepared to be blown away by the music and the performances of the actors, the Live Aid recreation, but little else. I am a Queen fan but didnâ€™t know the issues with this film. I enjoyed the film and thought Malik was great, he was almost Freddie! Great review, thanks Marie.